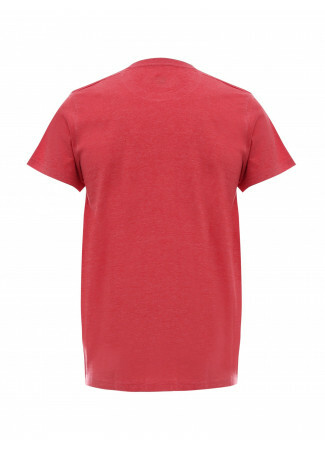 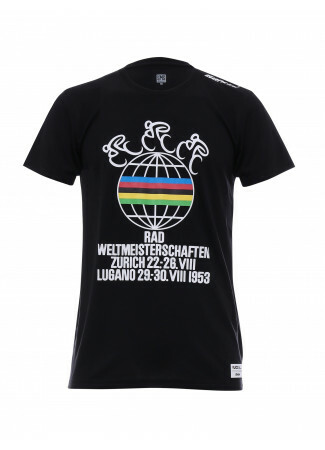 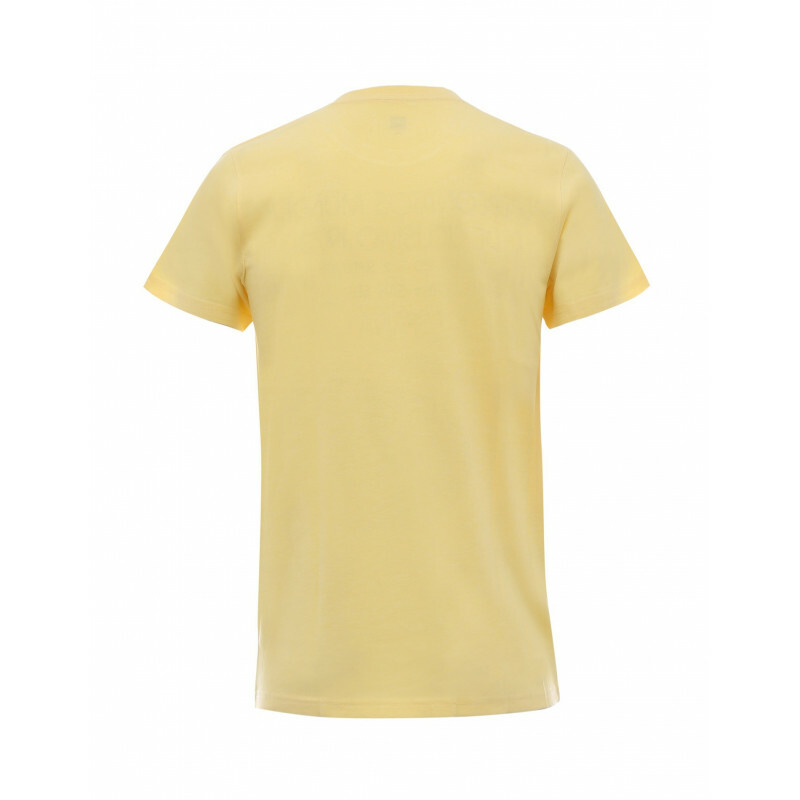 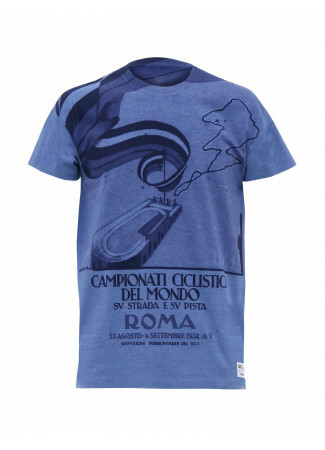 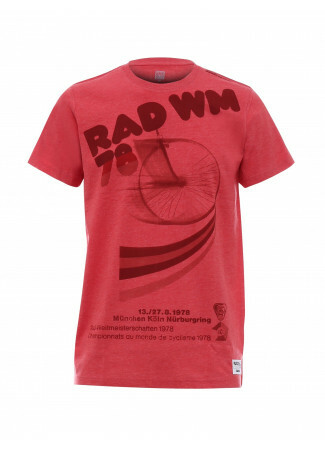 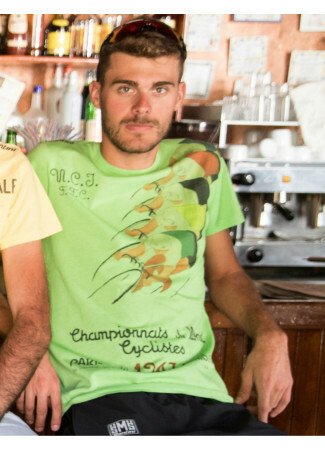 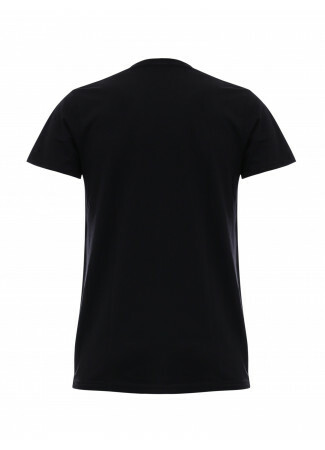 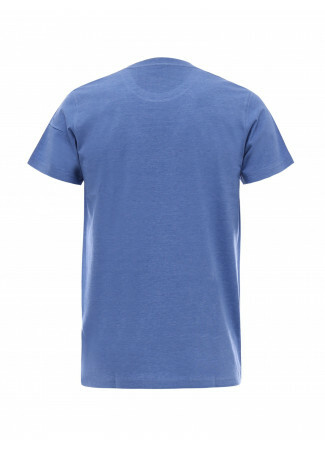 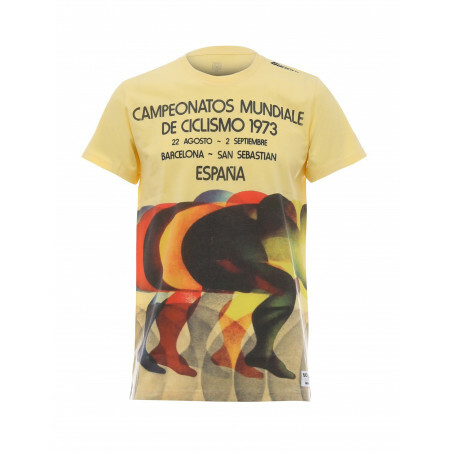 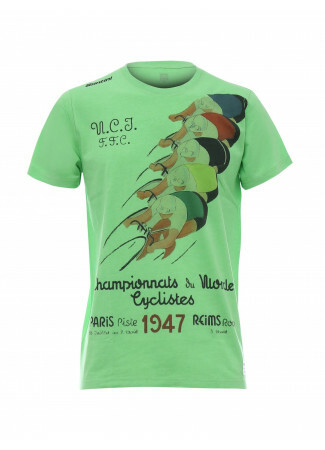 T-shirt with a printed poster from the official program of the 1973 world championships. 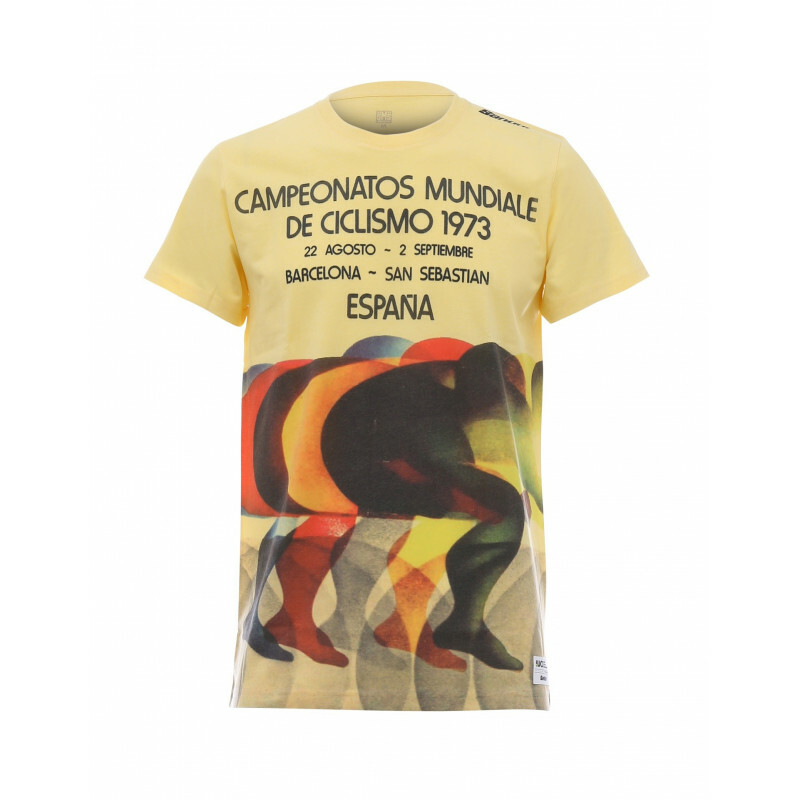 T-shirt with a printed poster from the official program of the 1973 world championships. 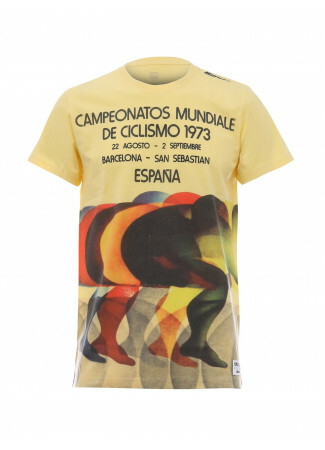 It took place in Barcelona, Spain that year and was won by Italian Felice Gimondi. 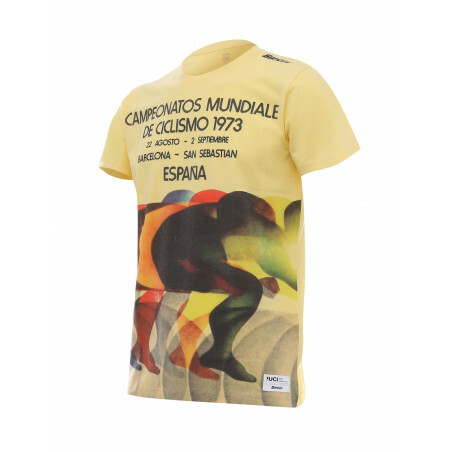 He came off the back of a three-man break in the closing metres beating the great Eddy Merckx in the sprint.